It’s every techno producers dream to get signed to Adam Beyer’s Drumcode. Vinicius Honorio tells us how long he’d been trying. Hi Vinicius, how are you? Hi, I’m great, thank you. I am back in South America, have had a gig in Colombia and now enjoying a week of holidays with my family in Brazil. We love your Drumcode debut! How did you come to release on such a prestigious label? What’s your relationship with the guys at Drumcode? I’ve been a techno bedroom producer for over 15 years but only in the past three years I’ve decided to put all my love and efforts into it. I love the Drumcode sound and what Adam Beyer and the label stand for. I’ve been giving my demos to Adam since 2014. As a fan I always tried to attend Drumcode events around Europe, and therefore it was the dream place to have my music released. Were you always musical growing up? I worked in a legendary underground techno club in São Paulo called ‘A Loca’ as a light jockey when I was younger for a few years, and my love for techno has always been there. I’ve been writing drum and bass music for a living for the last 15 years under the alias BTK. Overall, I’ve always listened to all sorts of music. What inspired you to produce techno? After so many years of going to house and techno events, and meeting lots of people and making lots of friends who are involved in the scene, I’ve decided that techno was a natural progression in my music career. What’s Brazil’s techno scene like? What influence did growing up in Brazil have on your music? Techno in South America has always been strong; Brazil has exported lots of talent such as Wehbba, Anna, Victor Ruiz and Gui Boratto. Brazilian music has always been rich in groove and funk, I think that is what I took as the most valuable influence to my music. How did you come to be resident at Egg LDN? Although I do play there quite often, I’m not a resident at Egg LDN. I used to work there as a booking assistant for some time and helped with the events management crew. I really love the people at the club and I appreciate the opportunity to play my music at such a prestigious venue. How do you find London? What do you think of the crowds who come to party? I love the city, it’s such an inspiring busy place that gives you the feeling that you must get something going with your life. The crowds are always up to party and well educated when it comes to music in general. What artists would you say are your main influences? 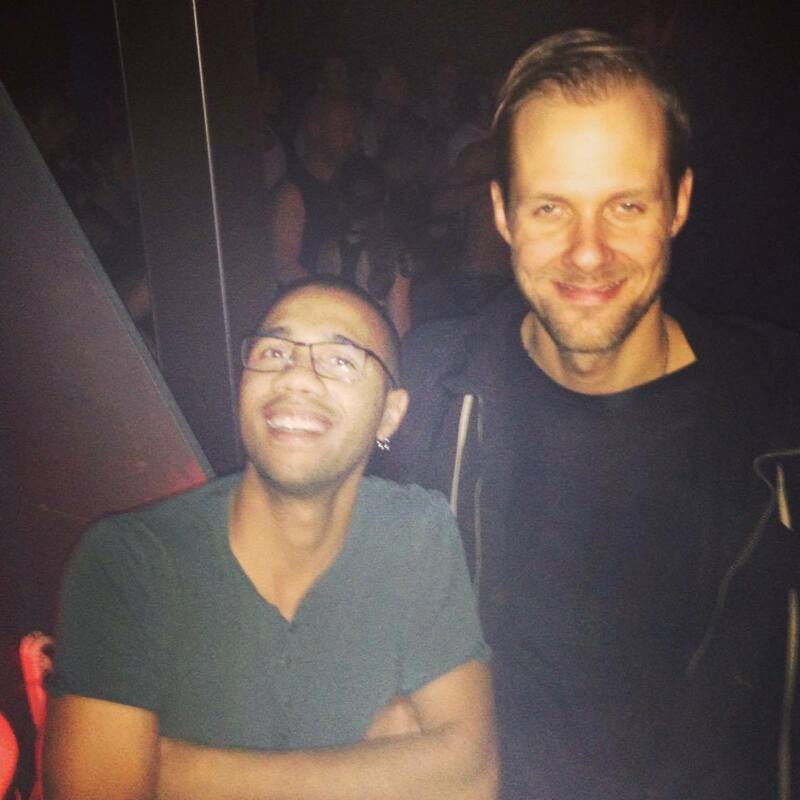 Adam Beyer goes without saying. As a drum and bass fan, I’ve been a huge Ed Rush & Optical, Optiv and Cause4Concern fan but, going towards to the techno sound I’d definitely say 2000 and One, Sam Paganini, Dubspeeka, Pig & Dan, to name a few. What’s your preferred studio set up to produce? I’m a living-room producer. When my neighbours allow me to work on my music loud, my setup is mainly software based. My DAW of choice has always been Cubase, and I am a PC user with lots of VSTis. What clubs would you love to play your music in future? I’d love to play at Berghain one day, I’ve been there twice and it was an amazing experience. Awakenings is also on my list, their events are always special. What does the future hold for Vinicius Honorio? Any goals or dreams for the future? Music-wise I hope to keep on working with Adam and Drumcode, and personal-wise I’m about to join the local gym and planning a whole back tattoo with my friends at Leu Iron Family studio in Switzerland.